Costs of living in Melbourne are in the 198th place of all 248 Teleport cities. Average living expenses are significantly higher compared to other cities, especially in the housing market. Moving to Melbourne will very likely increase your daily costs of living. Sign up for free to get access to our cost of living index and use our international cost of living calculator to do cost comparison by city. Software Engineer salaries in Melbourne are above average. For this job type, Melbourne ranks 76th for salaries among 265 cities. Get access to our salary comparison calculator by signing up. Compare salaries city by city with our free salary wizard and convert your own salary to a local salary in Melbourne. Do locals recommend living in Melbourne? How could Melbourne improve to make it a more liveable city? We will make sure that the local government will know about the suggestions that reach enough votes. Is Melbourne a great place to live? What makes it special for you? What makes it liveable? What should others know about? Why should they move here? Why do you love it? Let the jobs come to you! Sign up with your email and we’ll start working on getting job offers from Melbourne delivered to you. It's free. No strings attached. You can unsubscribe anytime. The overall crime rate puts Melbourne in position 147 of 266 Teleport Cities in a ranking for the safest cities. 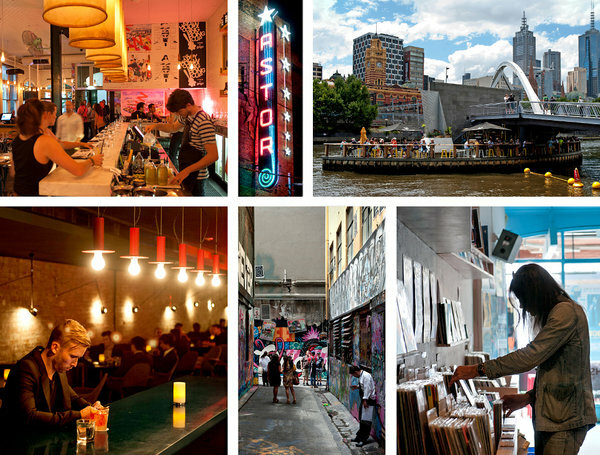 Home to street art, buzzing cafes and a cool bar scene, Australia’s second city is charged with creative energy. Melbourne is the second largest city and the cultural capital of Australia, with Victorian-era architecture, extensive shopping, museums, galleries, theatres, and large parks and gardens. Many of its 4 million residents are both multicultural and sports-mad. The capital of the south-eastern state of Victoria, and located at the head of Port Phillip Bay, Melbourne is a magnet for migrants from all over the world, and consistently ranks as one of the world's most liveable cities. Visitors come to attend major sporting events, and to use it as a base for exploring nearby places such as Grampians National Park, the Great Ocean Road, and Phillip Island and its penguin parade. Many UK visitors come for tours of filming locations of the soap opera Neighbours. The city's climate has a notoriety for its changeability, often referred to as "four seasons in a day". Its climate can be described generally as temperate, with warm summers and cool winters. During the summer of December to February, temperatures hover around 26–30°C (79–86°F), but it is not out of the ordinary for the city to swelter through heatwaves of over 40°C (104°F). Humidity is rarely an issue, with mildly comfortable nights down to about 16°C (61°F). With approximately 600mm of rainfall annually, Melbourne gets only half as much rain as Sydney. October is typically the wettest month. Some of the most innovative startups founded in Australia. Brought to you by the Founded X community.